Have you ever listened to “Summertime Sadness,” Lana Del Ray’s masterpiece? 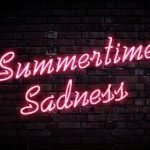 You cannot relate to that song, as summer and happiness are nearly inseparable, unless you are suffering from Reverse Season Affective Disorder. As strange as that sounds, SAD can occur during summer, and turn what’s meant to be a holiday season into a catastrophic trimester filled with sadness and depression. Seasonal Affective Disorder, or SAD, is the official medical term for the “winter blues,” which is when we feel moody or even depressed, during the winter. Reverse SAD, on the other hand, is when you experience the disease’s symptoms during the summer. 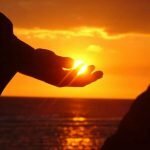 Summer Seasonal Affective Disorder is significantly rarer, affecting less than 10% of the total seasonal depression cases, and only 1% of the U.S. population. Do not let that fool you into thinking that it is not a severe issue, as, for people with this summer seasonal depression, the symptoms are very real, and can be dangerous if not treated properly. What Is Reverse Seasonal Affective Disorder? Summertime SAD, as the name suggests, returns every year during the hot season, as opposed to the winter counterpart, and it generally disappears on schedule as summer ends. While the winter-onset seasonal affective disorder is generally linked to the lack of sunlight as the cause, it is not clear whether the summer doppelganger is caused by the excess in sunlight exposure or the high temperatures. Another prevailing theory suggests that the summer sadness is connected to the fact that we often stay up later in the summer, which disturbs our biological cycle, aka the circadian rhythm. It is worth noting that summer SAD tends to affect more people in areas with warmer weather, while the winter counterpart affects more people where winters are colder. While that doesn’t confirm the theory, it inevitably backs up that temperature is the culprit behind such disease. 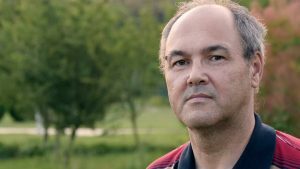 Some of the signs of the reverse seasonal affective disorder are quite similar to those of the winter counterpart, with the main difference being the season when they appear. Furthermore, this health issue often includes symptoms of depression, giving it the nickname “reverse seasonal depression.” These symptoms can include the feelings of hopelessness, guilt, and even suicidal thoughts. As with winter-onset depression, people with Rheumatoid Arthritis and Teenagers are more likely to suffer from this disorder. The main difference between the two diseases is the season during which the symptoms occur, but there are other common differences. In reverse or summer seasonal affective disorder, people tend to lose weight while those suffering from the winter counterpart are more likely to gain weight instead. Also, reverse SAD may lead to an energetic feeling, often resembling mania, while the winter-onset variation drains the energy of the sufferer and leaves them with a sluggish feeling. While the hypomanic symptoms may seem like a good thing as the affected person can be very productive, it can be counterproductive and sometimes dangerous when not treated, and it is advised to get medical attention for such a situation. 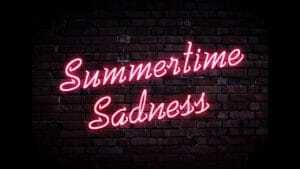 As mentioned, there is still an ongoing debate on the real reason for summer sadness. However, most experts will agree that too much melatonin secretion might be the primary cause. Melatonin is a powerful antioxidant that protects the brain. The direct precursor of this hormone is serotonin, a neurotransmitter that is extremely important in the mood regulation process. When too much melatonin is secreted, the available serotonin decreases, which increases the chances of mood disorders and even depression. It is worth noting that reverse SAD is often misdiagnosed as common’ depression, dysthymia, or anxiety because the cases are significantly rarer than the winter disorder. Also, many studies have suggested that seasonal affective disorder might be caused by genetics, as more than 65% of SAD patients have at least one relative with a significant psychological disorder. Besides, since reverse seasonal affective disorder happens in the summer, the symptoms often occur while Travelling, which can often lead to additional risks like difficulty in getting proper treatment, travel-related accidents, and so on. While light treatments with a Light Therapy Box or one of the modern Light Therapy Glasses are more common for winter seasonal affective disorder, they are still very effective for treating summer depression symptoms as well. There are mainly White, Blue, and Red Light Therapy Devices, all of which have been known to be effective in treating SAD symptoms. 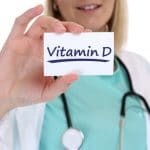 Nowadays, many healthcare providers suggest using a Vitamin D Lamp, as they have the same effects as other light therapy tools, such as lightboxes, sun visors, light bulbs, and such. Since depression is a major symptom for reverse SAD, antidepressants are often prescribed by medical professionals. Mood stabilizers can help in treating the hypomanic symptoms. If you hear someone stating that summer makes them depressed, chances are, they are either being too dramatic or suffering from Reverse SAD. As discussed above, this disorder can be a serious issue, so consider getting the help of a medical professional if you think that you are suffering from reverse SAD.